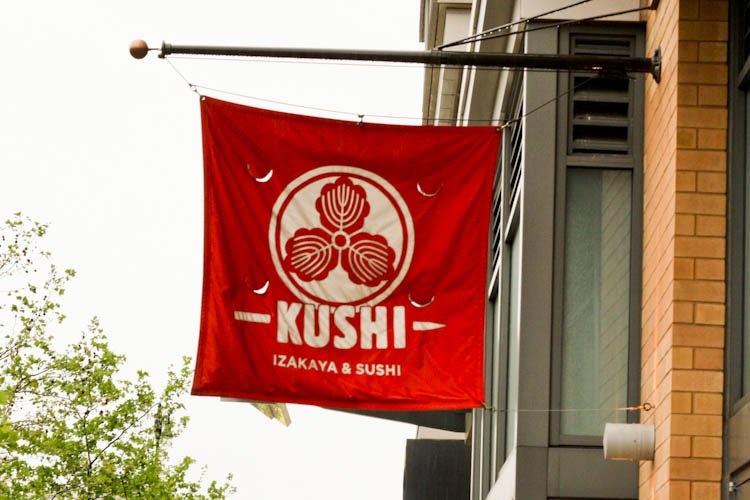 Sadly, this weekend, the troubled, Kushi, Izakaya and Sushi Bar on K Street NW closed its doors. Gladly, announced today, the latest restaurant from restaurateur Hakan Ilhan will be a casual French bistro called L'Hommage Bistro Francais. "Hakan Ilhan, who owns Alba Osteria at 425 Eye St. NW, has signed a lease for a 6,361-square-foot space at 450 K Street NW, the m.flats apartment building from Kettler. The restaurant will be called L'Hommage Bistro Francais and combine a full-service bistro with a bakery, cafe and grab-and-go sandwich option at lunch. The 220-seat restaurant will include two private dining rooms that can be combined to seat 120. Miller Walker Retail Real Estate represented Ilhan; Streetsense represented the landlord." "The market definitely needs a French restaurant that is comfortable, casual, that offers good quality food at a reasonable price," Ilhan said.